For men experiencing balding and thinning hair, finding the right men’s hair restoration or hair replacement solution can be one of the most important decisions and choices you can ever make. When it comes to men’s hair restoration and hair loss treatment option, there have been enormous changes and advances in technology in just the last few years. Today’s non-surgical hair replacement systems are custom made to your own individual needs, lifestyle, and expectations using the finest human hair available. The result is an extraordinarily natural look and feel that looks and feels just like your own hair, both in terms of texture as well as color. It even feels like your own growing hair. Many of our clients, across all age groups, tell us that they have better looking hair now than they did before they started experience hair loss. Because our individually customized Transitions men’s hair replacement solution is made from the finest human hair available just for you, they are virtually undetectable in every way, both to the eye and to the touch. 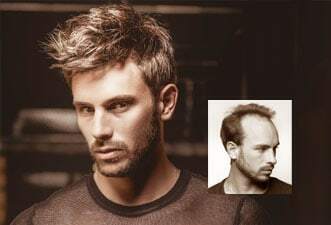 For an amazingly natural and perfect look, take a look at Transitions hair for men. After all, seeing is believing. 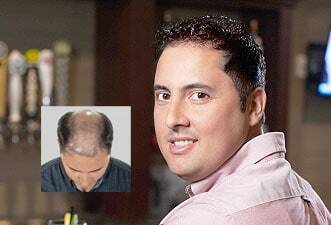 Hairskeen™ custom hair replacement for men offer the latest in high-tech, aesthetics and natural looking hair styles. Adapting to all types of hair loss our custom solutions are made with extreme attention to detail so you get the absolute most natural custom-made results in the latest cutting edge men’s hair styles. 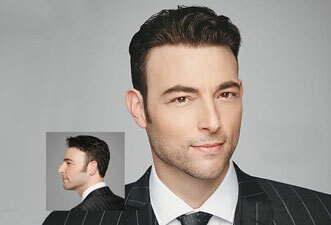 Virtual Reality™ custom hair replacement for men is the choice of professional Hollywood actors, producers and stylists, offering a perfect, natural look and feel for men in the public eye. Style your hair any way you want, and forget you ever had a hair loss problem, because no one will every know. 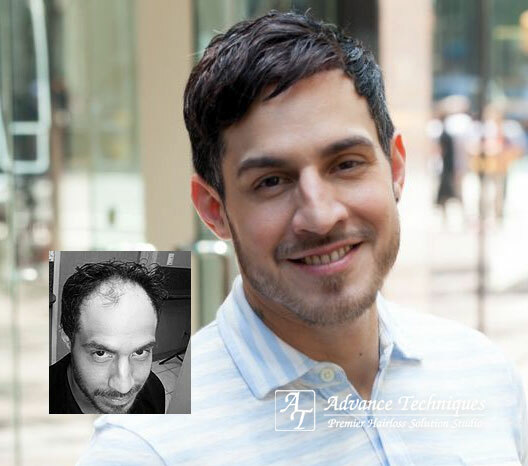 At Advance Techniques Hair Replacement, we constantly strive to give you the freedom to choose the perfect hair loss solution to fit your needs. We provide our clients with personalized custom solutions that are so incredibly natural that there is simply no reason to suffer from hair loss or thinning hair any longer. Book your free, private hair loss evaluation today.